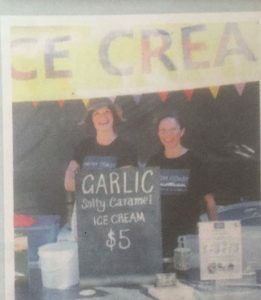 The Meeniyan Garlic Festival was held on February 17 and for the second year we made garlic ice cream especially for the event. This year we went with a Salty Caramel Ice Cream base and added a smoked garlic paste featuring garlic from Mirboo Farm. The idea was that the savoury flavour of the salty caramel would work with rather than against the garlic. 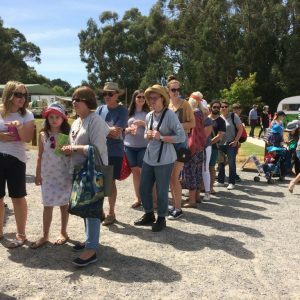 It turned out to be a crowd pleaser and we managed to turn the biggest sceptics into enthusiasts – some even coming back for a second cone!